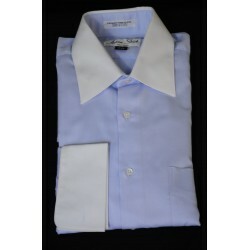 We are now offering a line of our own better quality men's dress shirts. 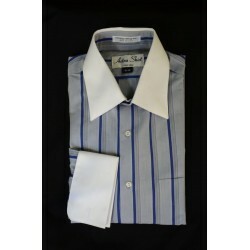 We can also work with you to create your own line of dress shirts. We offer tours of our shirt production facility, and can help you better understand the woven shirt manufacturing process. We can direct you to suppliers of fabrics, thread, buttons, labels, interfacing, and packaging, or other components that you may need as you begin or continue your journey in shirt production. 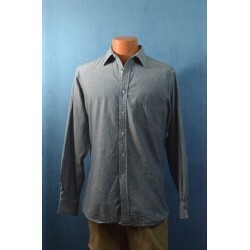 This is the classic 100% cotton chambray shirt in a light/medium blue, with laydown collar, stand.. 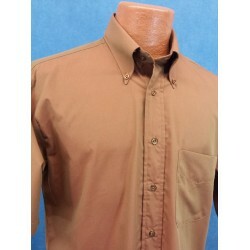 This is a 100% cotton broadcloth, yarn-dyed stripe. Cuffs are available in standard squared.. 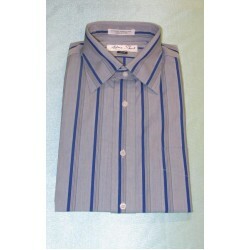 This is a classic 100% cotton broadcloth in a light/medium blue/grey, with blue stripes. Ma..
Men's striped shirt. 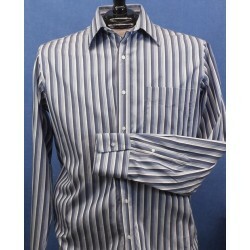 100% cotton, 40s single ply, yarn-dyed with erial blue and white strip..
Men's striped shirt. 100% cotton broadcloth, 40s single ply, yarn-dyed purple and green str.. This 100% cotton is made with a beautiful light sky blue diamond pique weave fabric. 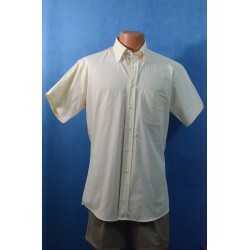 We can add a..
We have a special sale of first quality 100% cotton broadcloth men's button-down shirts. Th..
Yellow fine check short sleeve shirt. 100% cotton yellow yarn-dye tiny check broadcloth men's..